luxury and royal glass and metal coffee table made by 201 stainless steel material,beautiful appearance,environmental protection,never rust.It has high gloss,modern,European style,strong and durable.To build a healthy,clean and comfortable environment for your home. 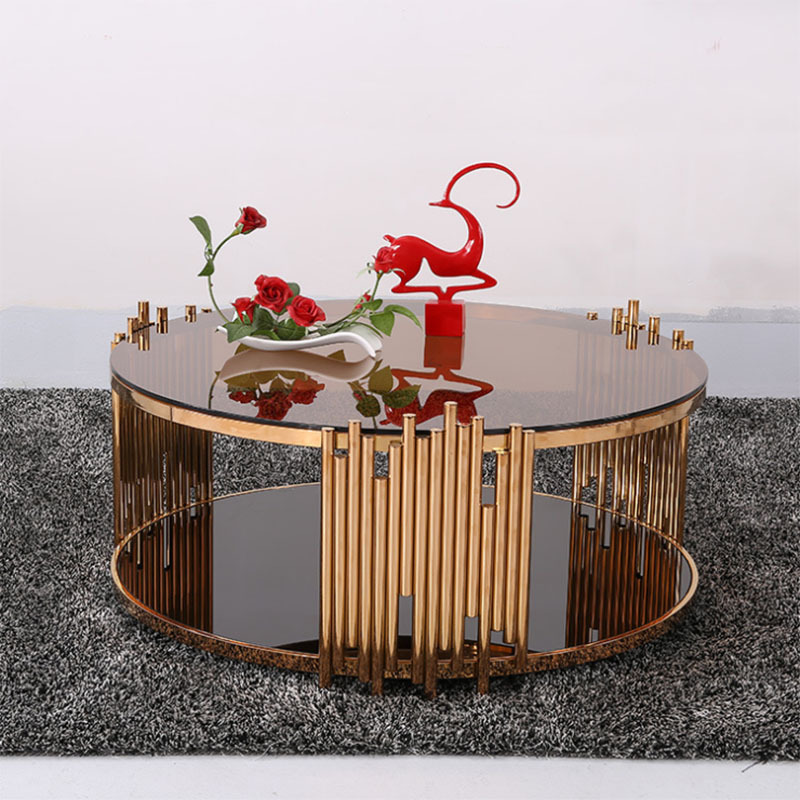 luxury and royal glass and metal coffee table has a clear glass top that looks magnificent.luxury and royal glass and metal coffee table is finished from all sides, so it is perfect for versatile placement. 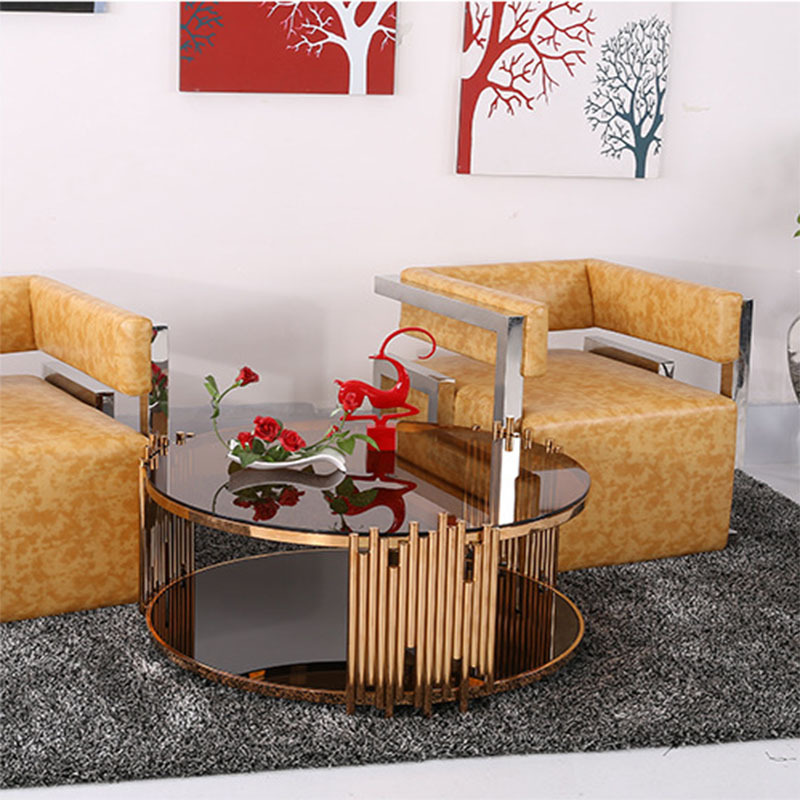 luxury and royal glass and metal coffee table is fitted with a safety tempered glass on the top that is worth complimenting. 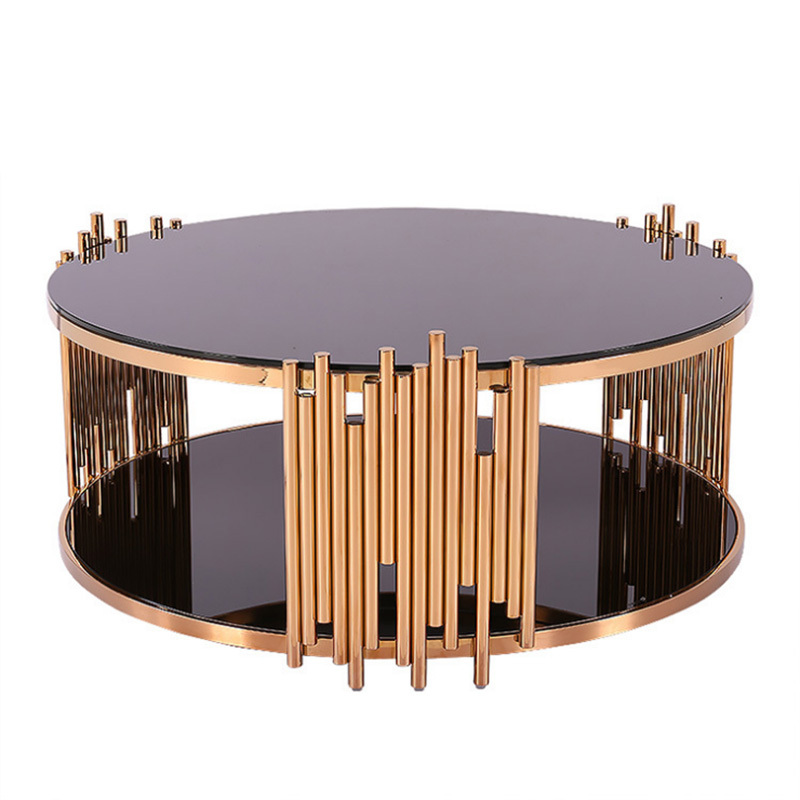 The base of the table has a round shape, and the black finish has added elegance and glamour to the furniture. It is ideal to be placed in front of a conversation couch in the living room or the sitting area. The modern style of the coffee table is absolutely an eye-catcher that will surely fetch a few compliments from your guests. 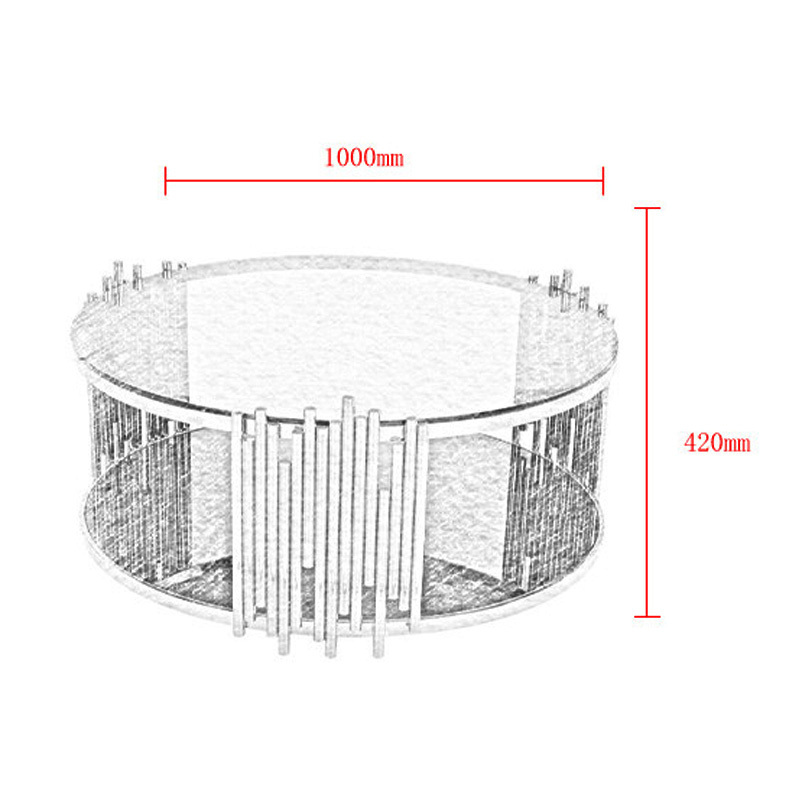 luxury and royal glass and metal coffee table from these needs to be assembled before you can start using it. 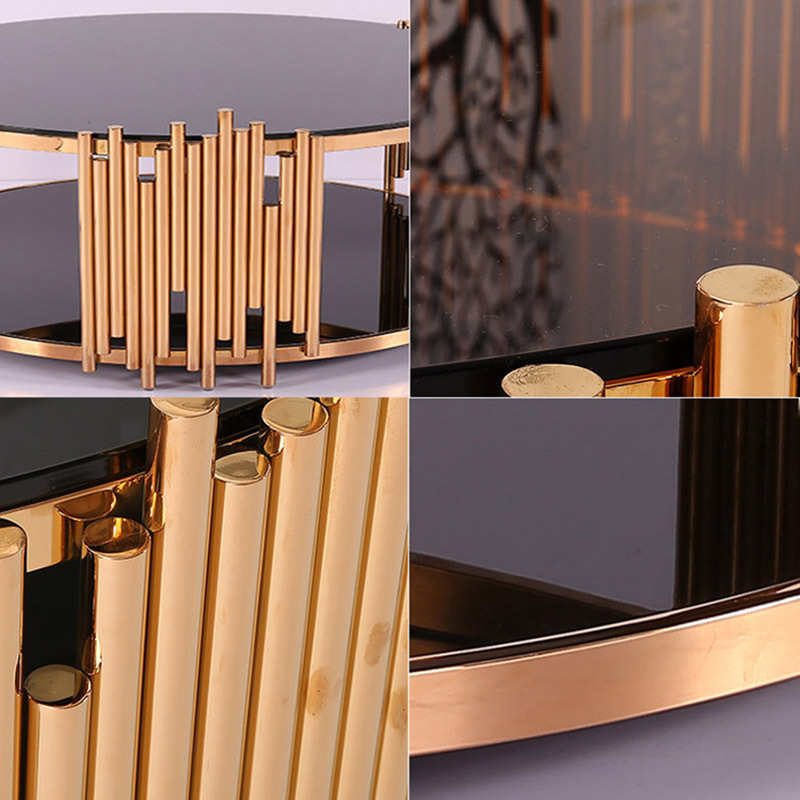 The base of the table is made of metal that ensures the durability of luxury and royal glass and metal coffee table. Maintenance of the table is also hassle free. An occasional wiping with a dry and clean cloth will keep your coffee table sparkling and gorgeous. Looking for ideal High Gloss Coffee Table Manufacturer & supplier ? We have a wide selection at great prices to help you get creative. All the European Style Coffee Table are quality guaranteed. 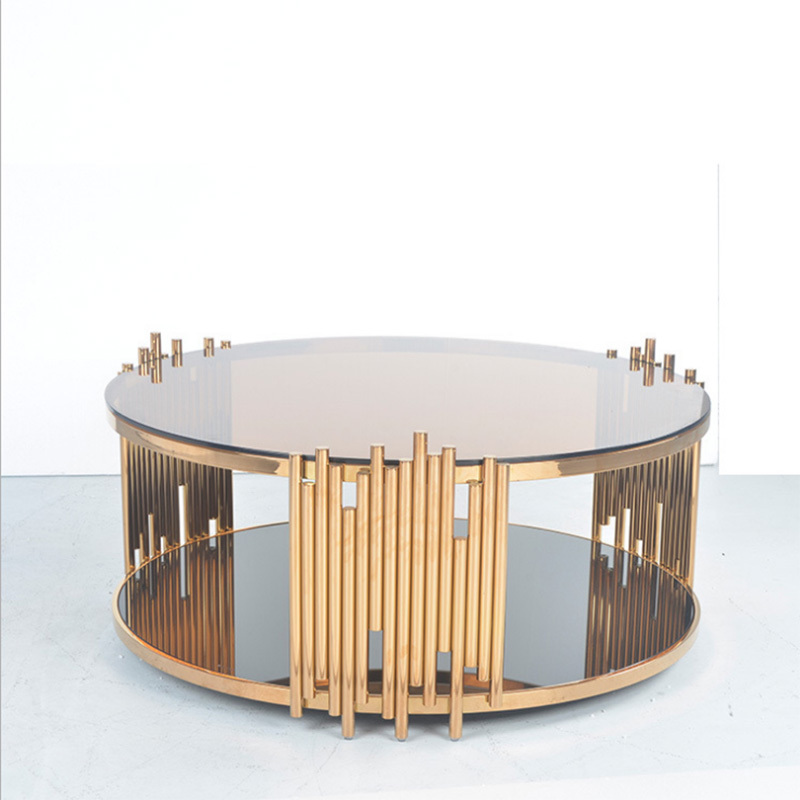 We are China Origin Factory of Coffee Table Modern. If you have any question, please feel free to contact us.